2019 HIRE DATES FROM MARCH - NOVEMBER. 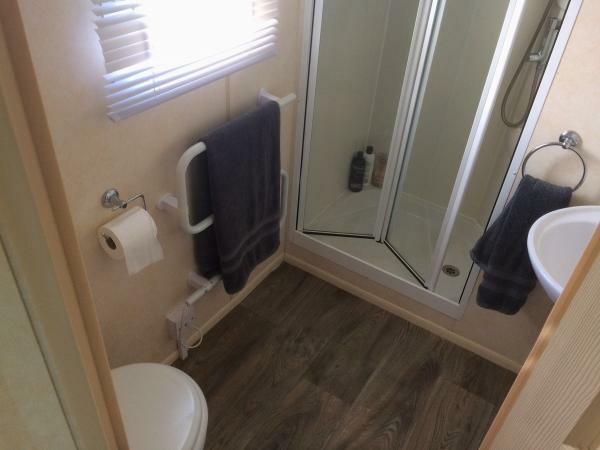 £100 caravan respect bond is required to secure your booking. This will be returned to you on the day of your departure after caravan inspection. Holiday Booking Price to be paid 4 weeks before holiday start date or at time of booking if less than 4 weeks. AND THEN EMAIL US THE DATES YOU REQUIRE SO WE CAN CONFIRM AVAILABILITY & SEND YOU THE BOOKING DETAILS. Please state how many adults & children when enquiring for availability. 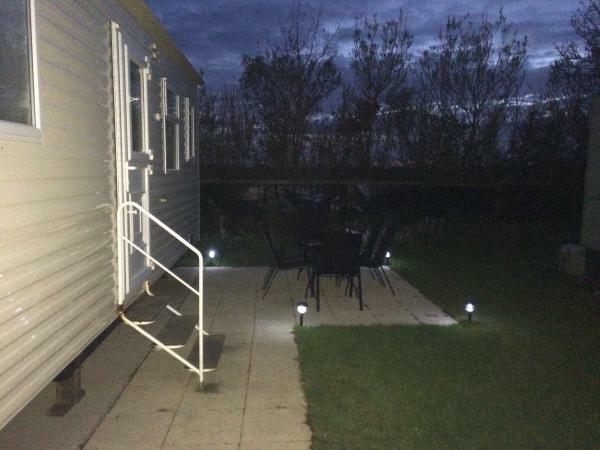 12ft x 38ft Static Caravan Sited In A Quiet Tranquil Position For A Truly Relaxing Break. 1 Queen Pull Out Double In The Lounge. Perfect For Couples & Small Families. Master Ensuite Bedroom King Size Bed. Twin Room 2 Single Beds. Sited on the new peaceful Bempton meadows development & only 5-10 minutes pleasant stroll to the parks amenities. 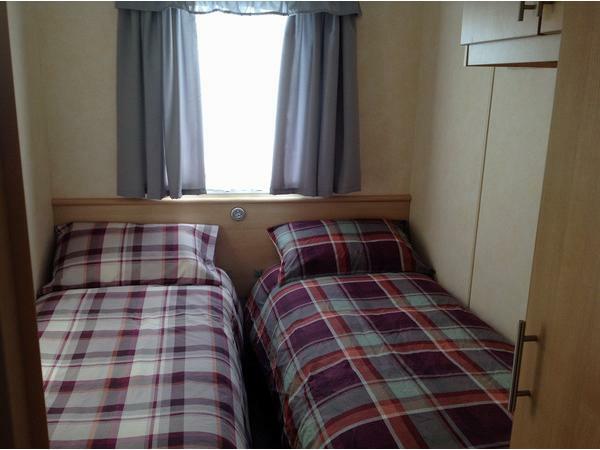 Our privately owned holiday home is very roomy, comfy & spotlessly clean through out. We have tried to think of everything you might need for your stay. 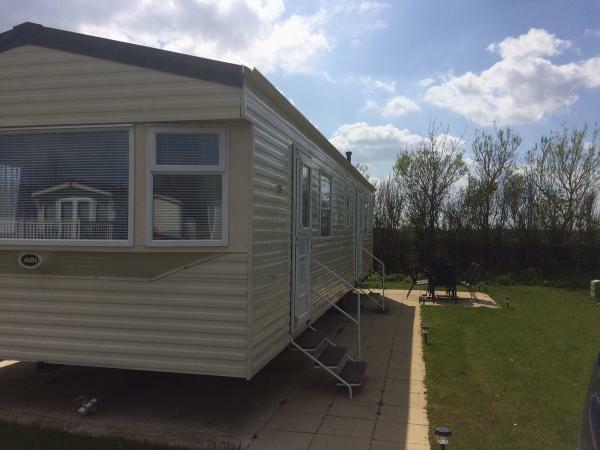 Holiday home consists of lounge with comfy seating, FULL SKY, 42" 3D TV, dvd player, table seating for 6 with part open plan kitchen. Master ensuite bedroom with king size bed, 2 double wardrobes, chest of drawers, dressing table. Tv with free view channels. Second bedroom has twin beds with wardrobe & cupboards. Small pull out double in the lounge. Main family bathroom with shower & a second wc in the master bedroom. The kitchen is fully equipped with all new crockery and cutlery, a fridge/freezer, microwave, kettle, toaster, oven & hob. The holiday home is double glazed with heating & gas fire which keeps the van warm all year round so winter breaks are available too. Private parking bay at the side of caravan. Paved patio area overlooking meadows, patio dining furniture to include table & 6 chairs , 2 relaxing recliner sun chairs, 2 sun loungers 1 bench seat. Solar lights surround the outside patio area. There is also a wind breaker privacy screen for use around the patio area if required & table brolly. - No smoking inside caravan. - We do not supply any bed linen, quilts, pillows or towels as we feel it is more hygienic for guests to bring their own. -We do supply Clean mattress protector covers on all beds before your stay. - Our holiday home is perfect for couples and smaller families. Holiday Booking Price is to be paid 4 weeks prior to holiday start date or at time of booking if less than 4 weeks. Additional Info: Sauna, Steam room, Adventure playground, Soft play area, Ten pin bowling, Sport court, Park passes are available from reception at additional costs. Fish and chip shop and beach close by. 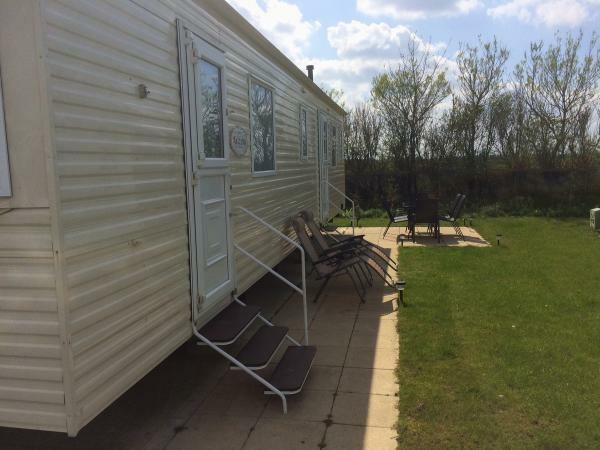 Lovely caravan, very well equipped inside and out, and located in a very peaceful part of the site. 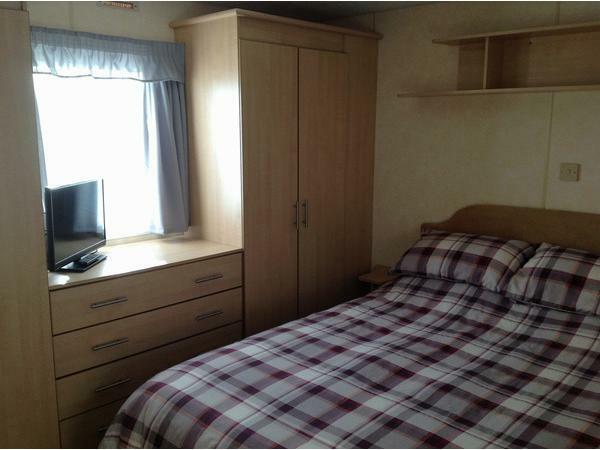 The double bedroom is very spacious, plenty of storage, comfortable large bed and ensuite a bonus. We had a very enjoyable stay, Sky tv was another bonus. Sarah the owner made the booking process easy, and returned the bond promptly. 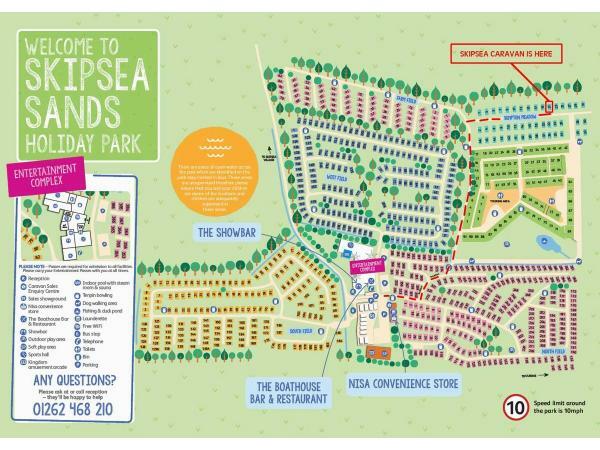 We visit Skipsea on a regular basis and will definitely be returning to Sarah's caravan in the future. 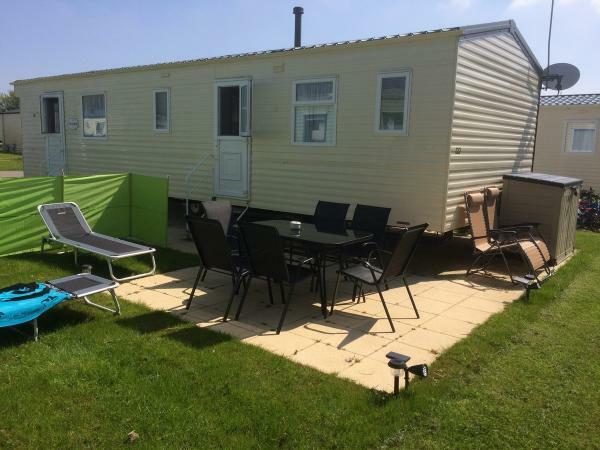 fabulous caravan really big for a two bed lovely and clean in a nice quiet area of the park sarah the owner could not be more helpful even down to changing the date when daughters college messed us around with dates. highly recommended caravan owner. 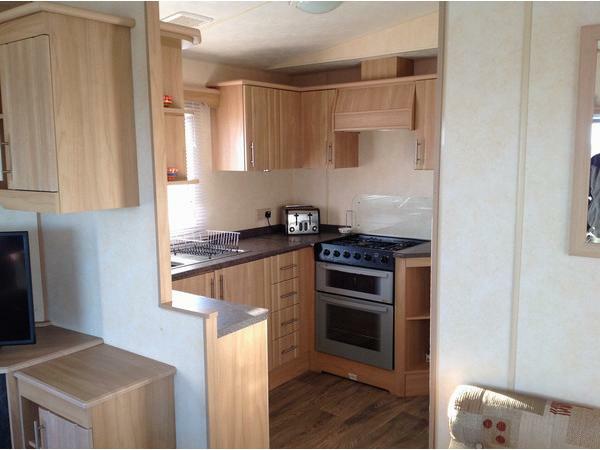 A very nice clean caravan. It was nice to have a parking bay next to the van as some sites do not have thus facility. The children enjoyed having space to play outside the caravan and it is not too far away from the entertainment on site. Sarah was really helpful with booking and arranging to return an item left in the van. I usually book different places each year but this is one to be considered next year having had such a nice stay and no problems. 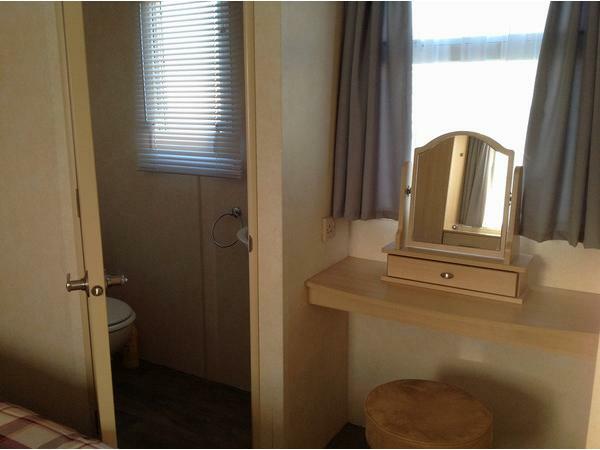 Lovely Caravan, everything catered for and so restful and peaceful. Nothing was too much trouble. Very highly recommended. Site itself is good, although the restaurant could be better. We stayed at this lovely clean caravan from the 28th of May to the 1st of June, we had a wonder full stay and a truly lovely week. 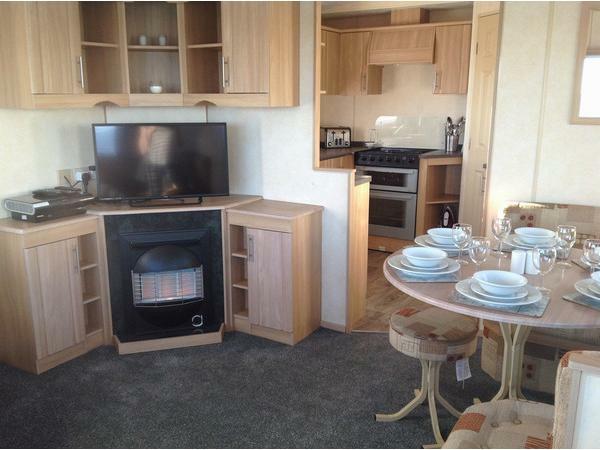 This little gem has all the home comforts you could need, it was perfect and met all our needs as a small family. 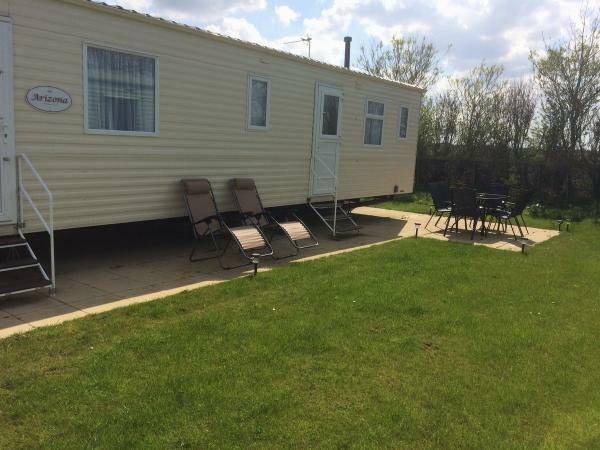 The caravan is situated in a beautiful area of the site and just a short peaceful walk to the main facilities . We loved it so much we are planning on booking another stay for later in the year. A big thank you to Sarah the owner for making the booking so easy and returning our bond after we left. Thank you for your kind review Beverley. I am so glad you enjoyed your holiday and you are more than welcome to stay again. Also a big thank you for leaving caravan so clean and tidy on your departure day. We stayed at this lovely caravan in February for a week. Although all the site facilities were closed at this time of year we still had a wonder full stay and a truly relaxing week. The sea views were magnificent and changed every day depending on the weather. The caravan was very warm and even had an electric blanket on the king size bed which my wife loved. This little gem has all the home comforts you could need and we have already booked another stay for later in the year. A big thank you to Sarah the owner for making the booking so easy and returning our security deposit an hour after we left. Apparently this 2018 season is the first year Sarah has let her caravan out but judging what we have seen I'm sure there will be plenty of bookings this year for her.